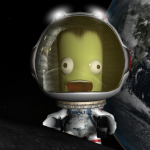 Realism Overhaul is a mod that makes Kerbal Space Program behave more like real life. If you're interested in seeing what it's like to fly rockets in the real world, this is the mod for you! Realism Overhaul does this by combining and configuring other mods, and mod and stock parts to perform as their real-life equivalents. You can expect things to be a little harder, and rockets to be a bit bigger, but the scenes far more epic, and the accomplishment that much greater. Engines have real sizes and performance values, and use real fuels. Most of them have limited ignitions and suffer from ullage. Pods are as large as their real-life counterparts and weigh what they should. Propellant tanks have correct dry mass ratios. Solar panels don't produce massive amounts of energy, but they are lighter. Similarly reaction wheels aren't magically powerful anymore (though they still don't require momentum dumping). When installing Realism Overhaul, you've got a plethora of mod choices to further customize your gameplay. This section lists mods that are supported and/or recommended. To install Realism Overhaul you can either use CKAN, or do things manually. IF YOU HAPPEN TO INSTALL IT MANUALLY - USE ONLY THE MODULARFLIGHTINTEGRATOR VERSION SUPPLIED BY KOPERNICUS. Next, visit the forum thread here and download the latest release here. CKAN offers you two modes of use. You can use the graphical user interface, as explained below, or you can use its command line interface. If you wish to do the latter, check out the CKAN user's guide for more information on the command line interfrace. Start with a fresh, unadulterated, install of KSP. Download and install the required mods. Ensure you have the most up to date version and have followed their respective installation instructions. 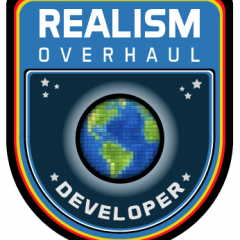 Download and install Realism Overhaul itself. To do so, download the zip archive and unzip all folders inside its GameData folder into your KSP/GameData folder. Changelog. 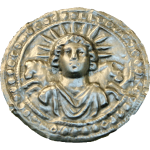 Changelogs going further back can be found in the old Realism Overhaul thread, an even older Realism Overhaul thread, and the RedAV8R Realism Patch thread. Realistic Progression Zero incorporates career mode into Realism Overhaul. Note that at this time not all modpacks are supported, see the the RP-0 post for more details. RSS Visual Enhancements by pingopete improves the visual appearance of planets and clouds, and it's looking excellent so far! This mod was created by NathanKell and RedAV8R. Currently maintained by NathanKell, stratochief66 and SirKeplan. (Contributions by many others. If you were missed in the contributors list at the top of the post, PM Theysen and he'll add you). Now I've got a post I can alter in the future to say what I want. Muhhahahahah. Unless for space suits, I don't believe that Texture Replacer add some realism. I believe that it doesn't make the game more difficult too. Maybe the color isn't chosen very well? I also think that the links should be updated. and just to repeat you are awesome! Thank a thousand times for your hard work! Strange, why update the thread if it is not 1.2.2. This is a pure "revive" of the last current RO thread which went missing in the forum kraken attack a few weeks back and is still the latest version of Realism Overhaul. Once 1.2.2 RO goes out of prerelease this will be the thread which will be updated as well. Hope that answers your question. Location: On a free return from the Moon with no fuel. Should this not be 1.1.3 then? Besides, there is already thread for 1.1.2 Realism Overhaul on the forum. What went missing is thread for 1.1.3, as rsparkyc said. Now it's even more confusing than before, as there are two semi-identical threads for 1.1.2 RO. No. Look at the last page and see that this thread has been closed due to creating a new OP back in May of 2016. The new one was originally posted by @stratochief66 - but again: It went missing in the forum voids. As @stratochief66 asked to have a new one created by the waybackmachine this is what I did. I hope this clears your misunderstanding. There is no confusion as you can't even post in the other one. Sorry, I was stuck in the edit mode for 20 minutes. The current OP now should be inline with those except updated mod thread links. Thanks for the digging though. That's great, thank you for creating this! I hope you'll have time to keep it updated (compatible mods, ckan etc), the old OP wasn't much useful anymore. Thank you for putting this on here!!! I managed to break my game and was having issues finding and adding all the mods. Thanks again! I have problems engine turning off too early... Does anyone know how to solve this? If you have TestFlight installed as recommended by RO, then you have your explanation. TestFlight simulates the lack of reliability of untested rocket engines : more you fly with an engine, more it is reliable. You can also pay for R&D for engines that increase their reliability for the first time you fly with them. I encourage you to read the mod's thread to know how it works. Do you have MechJeb installed and clicked 'Limit Acceleration' ? If you don't leave it a minimum greater than 0, it tries to throttle down - which doesn't work with real engines of course (most of them). Then MechJeb sets throttle to 0 at some point. Try to check those settings. I need some advice for Venus entrys. I tried one with a 90km periapse, a pretty light craft and a 2m lunar heat shield. It just burned up instantly. 1. Is a Venus entry possible with a lunar rated heat shield? And if not with what is it possible? 2. Do I need to go in more gradually, maybe with multiple aerobraking passes? 3. Will a Kevlar-Parachute survive? 4. Someone told me that the reentry corridor is 90-105 km periapse. What's you opinion on that? 1) A Venus entry with a lunar rated shield is possible even from an hyperbolic trajectory. I usually set the periapsis above 100km (trajectories mod helps a lot for this) but still a lot depends on your speed and on what your are trying to land. 3) Yes, yet you may just need a flat surface to brake you down. Venus atmosphere is very thick. Been looking around for any news on this - 1.2.2 has been out for a while, when are we getting the update for RO? Trying to run this on the latest version, and i'll probably just downgrade in a week or so to have RO run correctly. I'd happily play a dev version of a 1.2.2 RO, if there is one. Yes! I have the same question. Doesn't it seem a bit like production grinded to a halt?